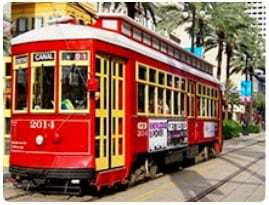 Posted in Uncategorized on March 7, 2019 by jkh6. 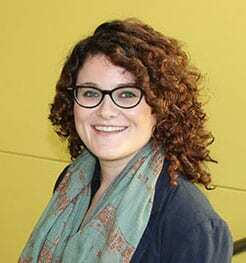 Rice PhD alum Eva Dyer has been awarded a prestigious Sloan Fellowship to support her research at the Georgia Institute of Technology on new computational methods for discovering principles that govern the organization and structure of the brain. Eva's broader research interests lie at the intersection of machine learning, optimization and neuroscience. Posted in Uncategorized on March 6, 2019 by jkh6. Posted in Uncategorized on March 1, 2019 by jkh6. 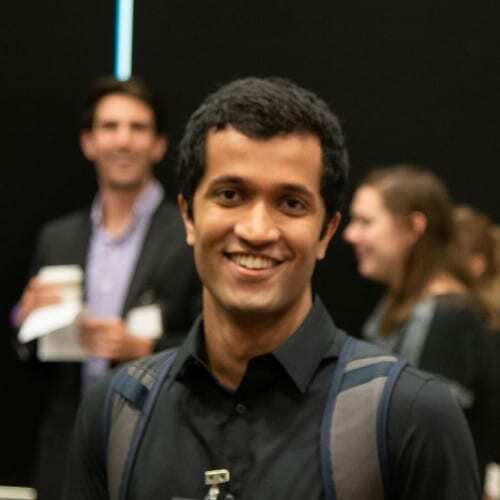 Pavan Kota has been awarded a prestigious NIH NLM Training Grant in Biomedical Informatics and Data Science that will support his PhD research on new kinds of microbial diagnostics. One particularly promising approach is based on designing coded strands of DNA that enable compressive sensing to be applied. The upshot is that only a few coded DNA probes are required to detect and classify a much larger number of potential microbes. Posted in Uncategorized on January 9, 2019 by jkh6. Chris Metzler successfully defended his PhD thesis entitled Data-Driven Computational Imaging: With Application to Imaging Through and Around Obstacles. 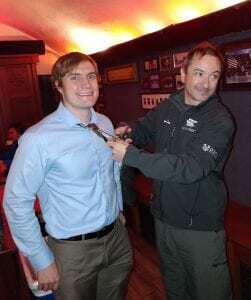 He's pictured here at Rice's Valhalla pub performing the ritual "trimming of the tie" ceremony for new PhDs with Prof. Richard Baraniuk. Chris' next stop is Stanford University for a postdoc with Prof. Gordon Wetzstein in the Stanford Computational Imaging Lab. Posted in Uncategorized on December 11, 2018 by jkh6. John Treichler, Rice DSP alum, distinguished TI visiting professor, and pioneer in the development of digital signal processing (DSP), has been awarded the Society Award by the IEEE Signal Processing Society. The Society Award honors outstanding technical contributions in a field within the scope of the Signal Processing Society and outstanding leadership within that field. John will present the Norbert Wiener Lecture at ICASSP 2019 in Brighton, UK. 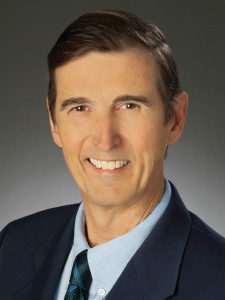 Now the Chief Technology Officer and Senior Scientist of Raytheon Applied Signal Technology, John was cited for his “contributions and leadership in the practical use of adaptive digital signal processing and for sustained service to the Society.” Among his many creations, John is celebrated for inventing the “constant modulus” adaptive filtering algorithm, which is used to compensate for interference, such as multipath echoes, on communication signals. Posted in Uncategorized on December 2, 2018 by jkh6. 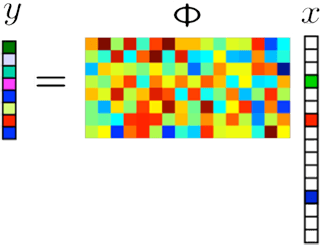 Compressive Sensing Resources are Back! The Compressive Sensing Resources webpage, a collection of over 1000 links to papers and preprints on sub-Nyquist sampling, is available once again on the Rice DSP website. To contribute a new paper, update an existing link, or make a comment, please email CSresourcesRice at gmail dot com. Posted in Uncategorized on August 22, 2018 by jkh6. Posted in Uncategorized on August 9, 2018 by jkh6. 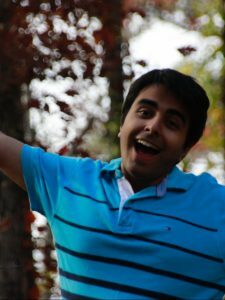 Rice DSP alum Ali Mousavi (PhD, 2018) has joined the Google AI Residency Program in the AI Fundamentals & Applications team in New York City. 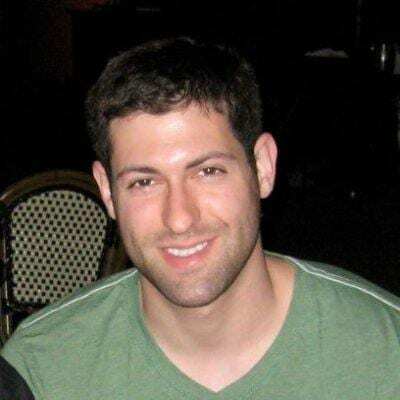 Rice DSP alum Tom Goldstein (postdoc 2012-2014) has received a DARPA Young Faculty Award for a project entitled Self-Assessing Network Models for Big Data Summarization. There are many complex tasks that neither a human nor a computer can complete alone. An example is searching a large image database: a human does not have the bandwidth to examine millions of images, while a neural network has the needed bandwidth, but lacks the intelligence to analyze complex or unusual images that lie far from its training distribution. Tom's project will enhance human-computer teaming by giving machines the ability to assess their own performance and self confidence. This way, machines can act independently, and then ask their human collaborators for help when it is needed. Tom is currently an Assistant Professor of Computer Science at the University of Maryland. He has previously been awarded the SIAM DiPrima Prize and a Sloan Fellowship.